HomeAll PostsContentFeaturesThe Mystery of the Missing Fukkatsu 110 Film! Or, The Mystery of the Missing Fukkatsu. 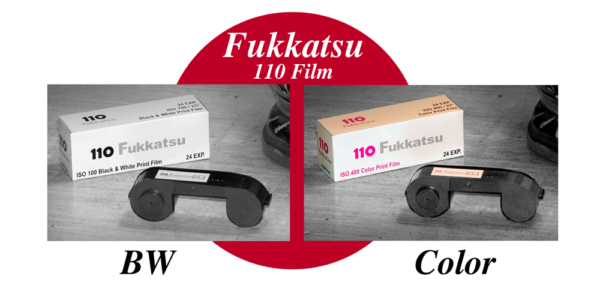 Back in 2012, the internet was abuzz with curiosity about the new Fukkatsu BW and Color 110 film introduced by Asian company Films Reborn, one of the few companies to bring new 110 film to the market; and, the only company to offer color 110 film in 400 ISO! 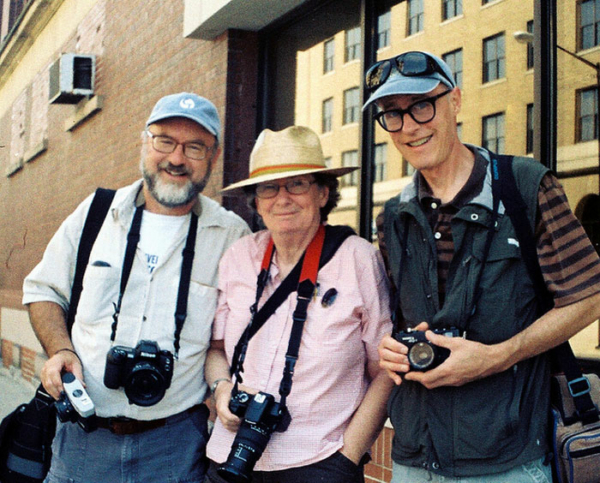 A few websites (including the FPP and Podcast #65) mentioned it as part of a mini 110 film renaissance, and some even included a brief interview with a Films Reborn representative, who stated he was part of a group of like-minded analog film shooters with the goal of putting 110 film back into the hands of photographers. Some lucky individuals were able to purchase quantities of the new product on ebay. Then, in July of 2012, as swiftly as it hit the market…the Fukkatsu 110 film was gone- vanished – disappeared. The FPP even has its own version of the events, beginning with FPP contributor Mark Dalzell’s discovery of the Fukkatsu listing on ebay, posted by a man who went by the name Norman. 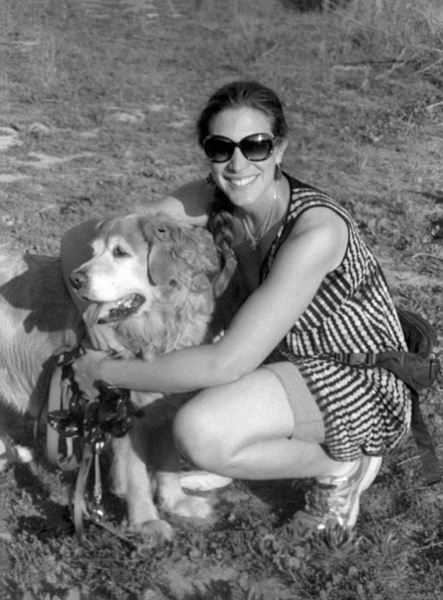 Mark ordered a small batch of the film for testing by himself and Michael Raso, an avid 110 film shooter. Delighted with the results, Michael contacted Norman in the hope of purchasing a large quantity of Fukkatsu BW and Color for the FPP store…but Norman never responded. Over the following year Michael and Mark would exhaust their many contacts in the film industry trying to contact Norman; or, locate another Fukkatsu or Films Reborn representative…but the trail had gone cold. 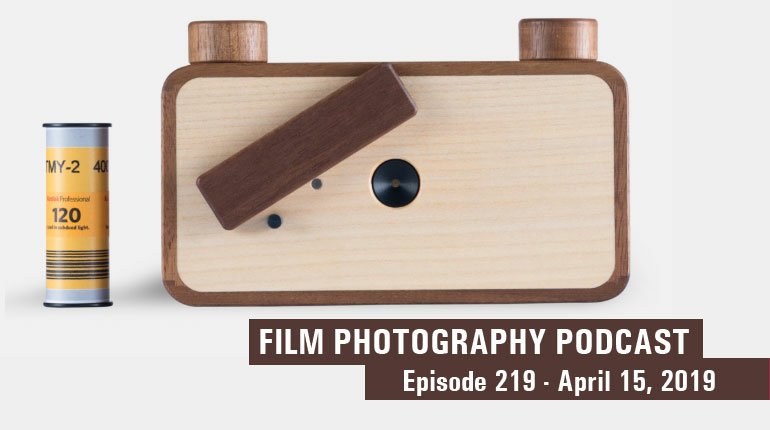 Of course, companies like Orca and Lomography continue to support 110 film to the joy of 110 camera aficionados, but nothing is quite so intriguing as a mystery…and here is where we once again, in 2019, pick back up the Fukkatsu trail. While researching Fukkatsu back in 2012 and 2013, Mark and Michael were able to confirm that while the Film Reborn representative described his colleagues as Asian, the name itself – Fukkatsu - is Japanese for revival. And, the film had shipped to the U.S. from Hong Kong. These few, spare facts in the history of the missing Fukkatsu film were immediately triggered in Michael Raso’s’ mind when a supplier of his mentioned a liquidator had approached him about a bulk sale of BW and 110 color film from somewhere in Asia. After verifying the film was recently expired and gave every indication of being the entire existing inventory of the now-defunct Fukkatsu film, Michael purchased the remaining inventory, answering at least one question in this ongoing puzzle - the location of the unsold Fukkatsu inventory. But wait – what about all of our other questions? Like, was this liquidator the original Norman? Did Norman even work for Film Reborn? What happened to Film Reborn? Where was the inventory stored during the intervening years, and why didn’t they make it available during that time? Is this truly the last remaining stock of Fukkatsu 110? Will Fukkatsu film ever rise again? The mystery lives on…but in the meantime, you can purchase the only known existing quantities of Fukkatsu BW and color film at the Film Photography Project On-Line Store.